The six west-facing windows on this second-story unit overlook the Bristol town square. Large windows and bump-out nook provide outstanding light and views. 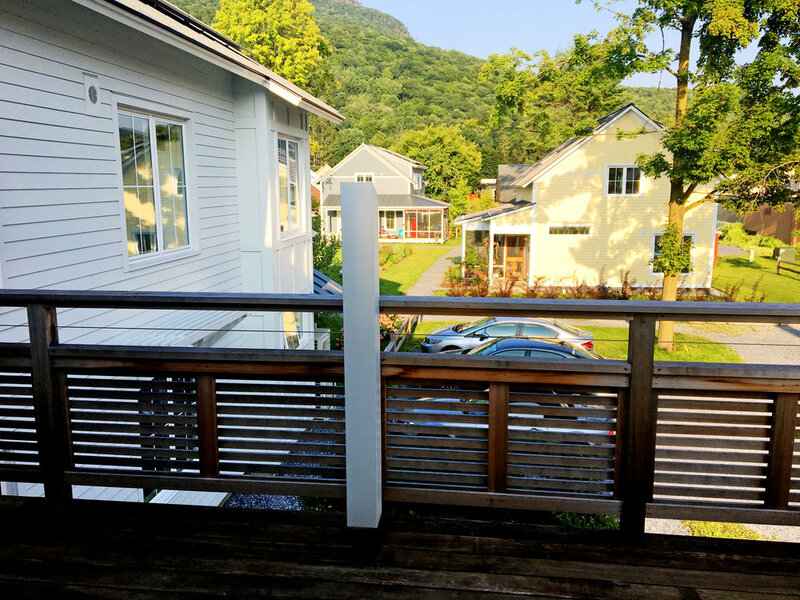 East-facing sliding glass door and balcony allow for sunrise views over the Bristol Ledges. Ample room and all-new appliances will suit a small family well. Look at how close downtown Bristol is! Say hi to your Bristol Cohousing neighbors on our common green! 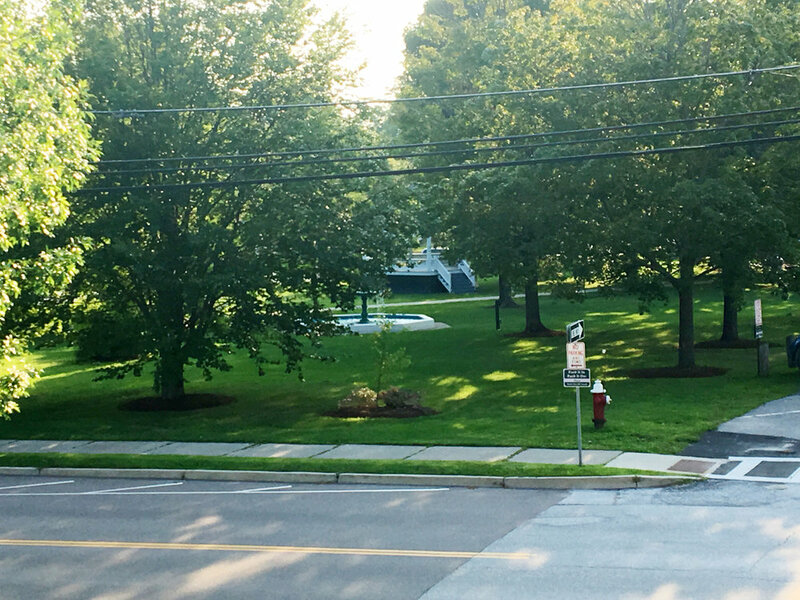 The trailhead for the Bristol Ledges is just a 5-minute walk away. Efficient triple-pane windows overlook Bristol’s town square. 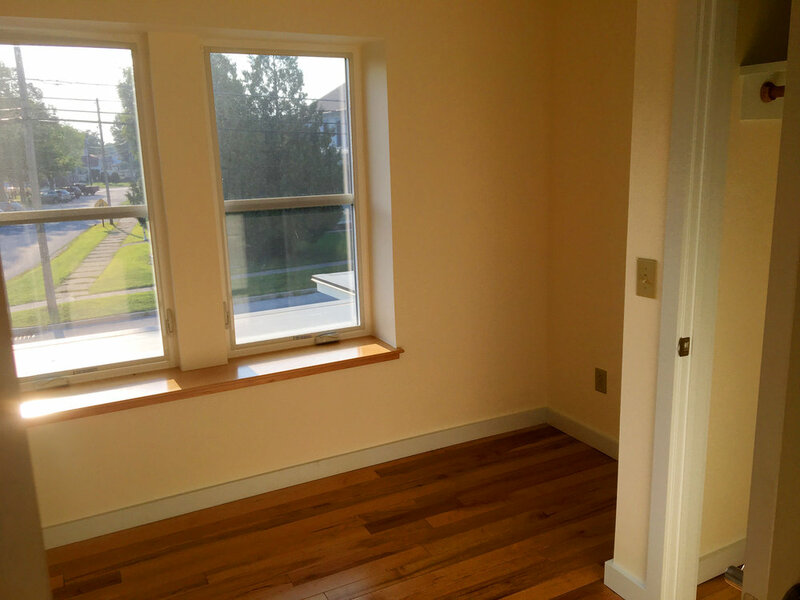 This bedroom has both west- and north-facing windows. Looking east from the balcony at Bristol town square. 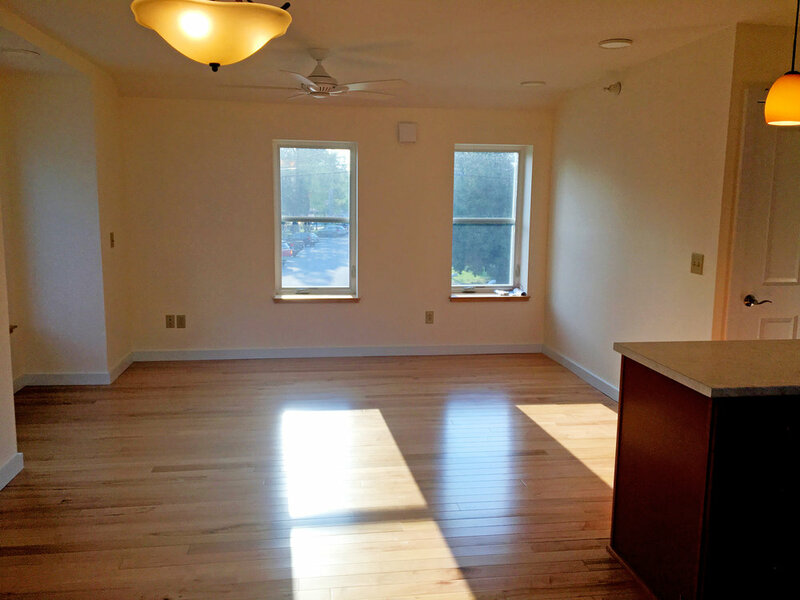 We are able to offer this unit either at this market price or as a permanently affordable home through the Addison County Community Trust. 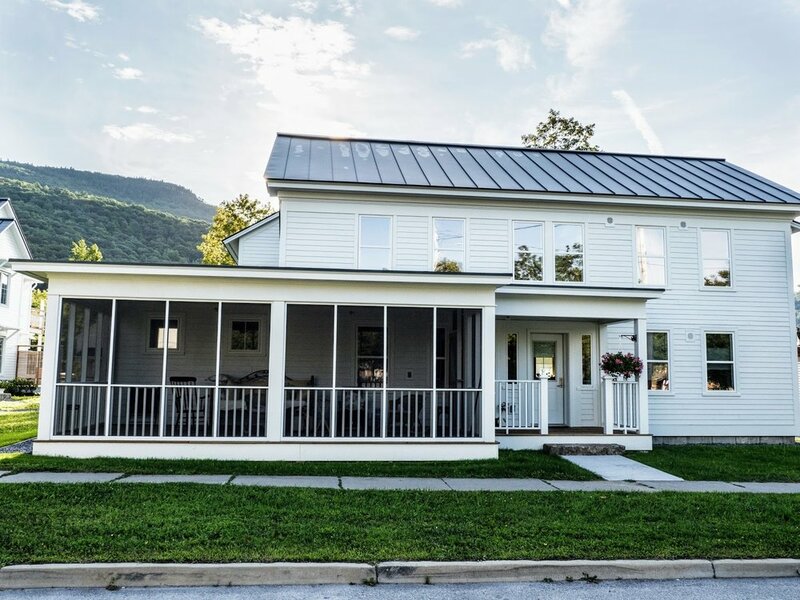 If you are considering purchasing this home and joining our award-winning community, please contact Jim (802-734-0798; jim.mendell@gmail.com) or Mark (touchvt@gmail.com, 802-310-3608) to arrange for a site visit. Ownership of property at Bristol Village Cohousing requires membership in the community. The first step in becoming a member is to fill out a membership application, which you can receive at your site visit. 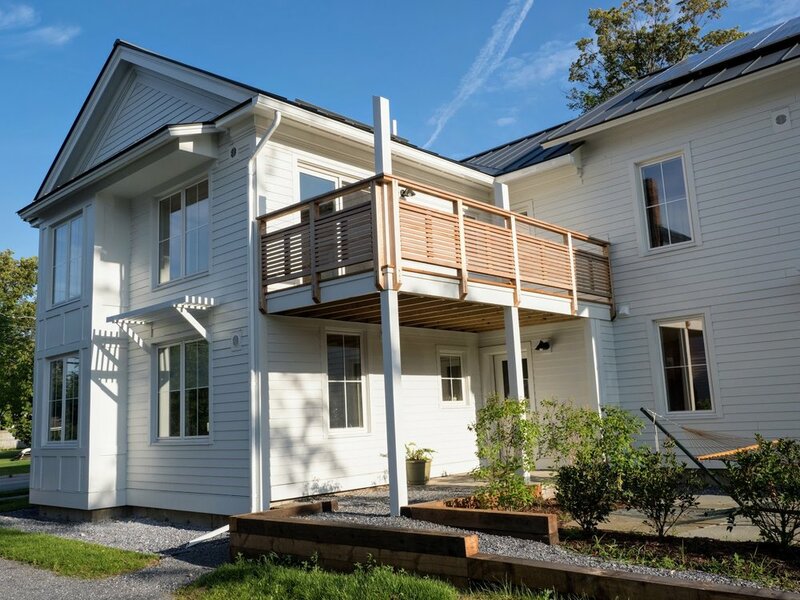 After you have completed the application, mail it to the BVCH Membership Committee c/o Jim Mendell, 2 Sprout Street, Bristol, VT 05443, or email it to jim@bristolcohousing.com. After we review your application, we will schedule a time for you to get acquainted with our community members, either at a community meal or member meeting. Assuming we are a good fit for each other, you can reserve your unit by sending a $750 membership deposit to Jim at the address above. Your check should be made out to Bristol Village Cohousing. You can then sign a purchase and sales agreement and make a down payment on your new home.